During the early years of the 20th century, make-up became fashionable in the United States of America and Europe due to the huge influence of Ballet, Theatre and the Movie stars of Hollywood. Chief amongst the make-up wizards who helped develop cosmetics into a global mass market were Max Factor Sr, Elizabeth Arden, and Helena Rubinstein. Post World War One , the Flapper look came into fashion and with it came cosmetics: Dark kohl eyes,Red lipstick, Red nail polish and it was fashionable for women to use bleach to keep their skin a pale milky white – in other words a good palette for cosmetics ! Of course Coco Chanel helped make the suntan popular and heralded the introduction of fake tan products helping both men and women to achieve that sun-kissed look ! In Asia, skin whitening continued to represent the ideal of beauty. Truly the inventor of Glamour ! He invented the term “makeup,” based on the verb, “to make up” (one’s face). To millions of women all over the world today, the name Max Factor goes hand in hand with beauty,fashion and above all glamour! 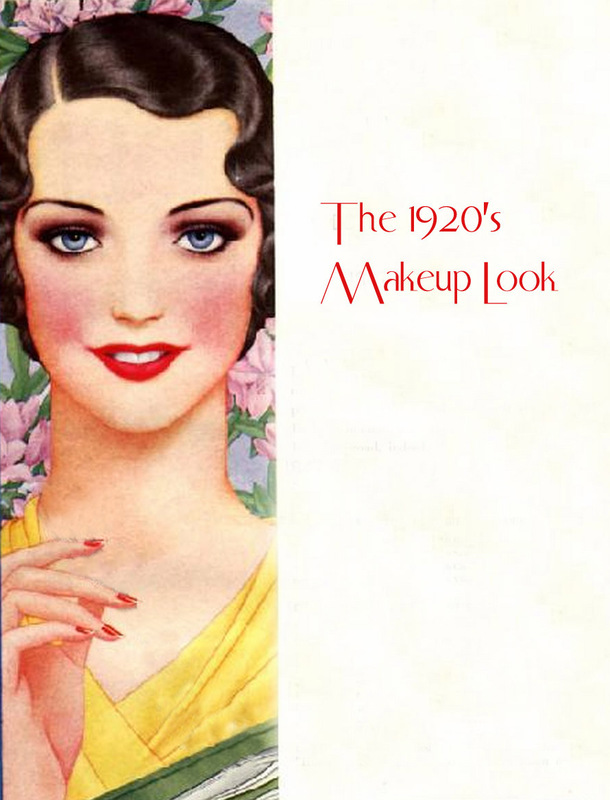 I started collating a timeline of makeup and glamour only to realise that it almost goes hand in hand [ with just a few exceptions] with the inventions of Max Factor Snr. In 1914 he created the first cosmetic made specifically for motion pictures! It was a form of thin greasepaint. He devloped lip gloss in 1930. Carole Lombard,Joan Blondell, Jean Harlow, Claudette Colbert and Bette Davis amongst others became regular visitors to his Hollywood Boulevard beauty salon. With stars like these as clients Max Factor’s name began to appear in the movie credits. In 1934 he introduced Liquid Nail Enamel, forerunner of today’s nail enamels. 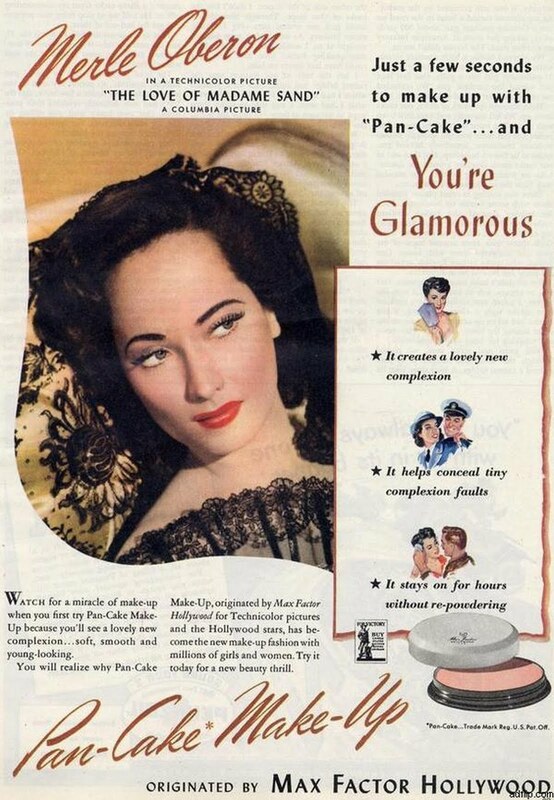 In 1936, after he became ill from a freak accident, his son made his greatest creation commercially available – Pan-Cake, the forerunner of modern cake makeup originally developed for color films. 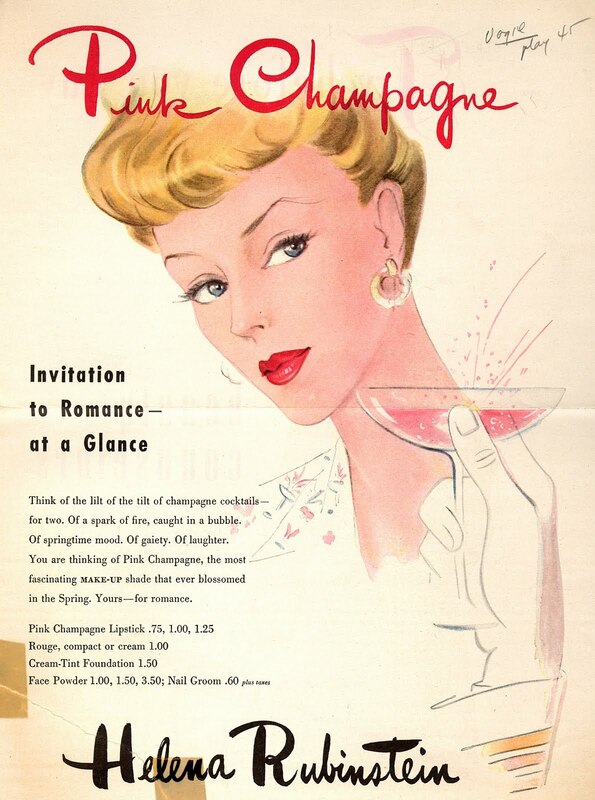 It was a huge hit, and remains one of the most successful single cosmetic items of the 20th century. The name is derived from “pan” because of its small, flat, pan-like container, and “cake” because of the form in which it was made! Pan Cake later developed into the Pan-Stick. Though today women still puff away with loose powder and liquid foundations, the all in one pan-stick is present in every makeup bag to this day. Max Factor’s name appeared on many movie credits, and Factor himself appeared in some cameos. He created many appearances for these actresses, such as Clara Bow’s heart-shaped/Pierrot lips. Years later, he exaggerated Joan Crawford’s naturally full lips to distinguish her from the many would-be stars copying the Clara Bow look he created. A few final amusing notes on Max Factors genius . He was always researching the science of beauty. 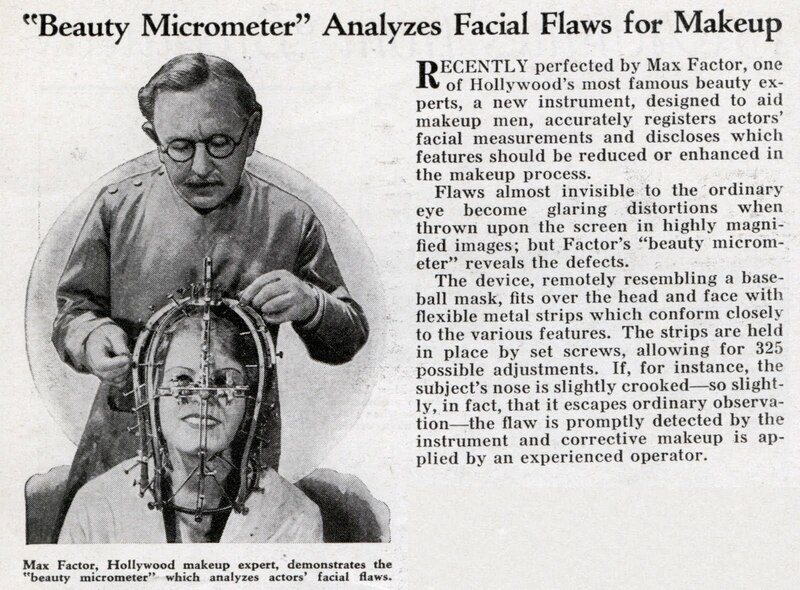 Below is the infamous Max factor Beauty Micrometer ! 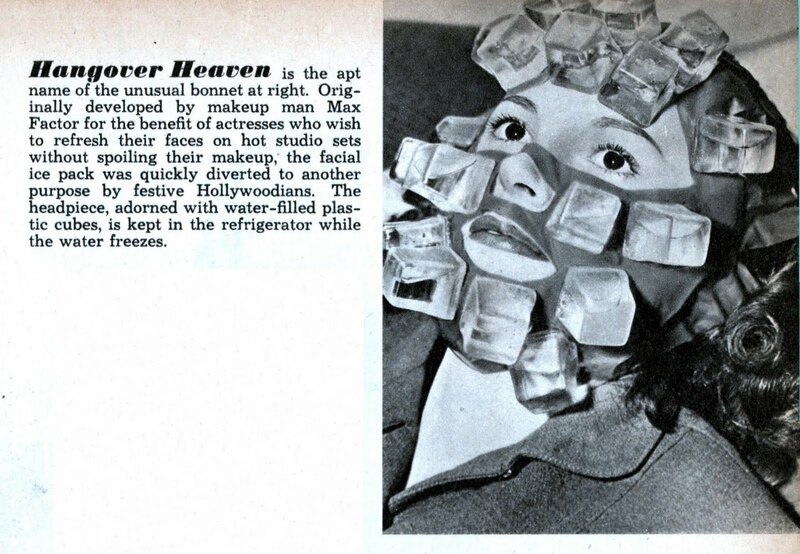 He developed a special bonnet for the benefit of actresses who wished to refresh their faces on hot studio sets without spoiling their makeup, the facial ice pack [ pictured below ] was quickly diverted to another purpose by festive Hollywoodians. The headpiece, adorned with water-filled plastic cubes, is kept in the refrigerator while the water freezes. Those girls really suffered for the art of glamour ! She invented the concept of the “makeover” in her salons. Arden collaborated with A. Fabian Swanson, a chemist, to create a “fluffy” face cream. The success of the cream, Venetian Cream Amoretta, and corresponding lotion, Arden Skin Tonic, led to a long-lasting business relationship. This revolutionized cosmetics, bringing a scientific approach to formulations. Other innovations included creating foundations that matched a person’s skin tone; creating the idea of the “Total Look” in which lip, cheek, and fingernail colors matched or coordinated; and the first to make a cosmetics commercial shown in movie houses. During World War II, Arden recognized the changing needs of the American woman entering the work force. She showed women how to apply makeup and dress appropriately for careers outside the home. Arden also introduced modern eye makeup to North America after her formal training in Paris in 1912. 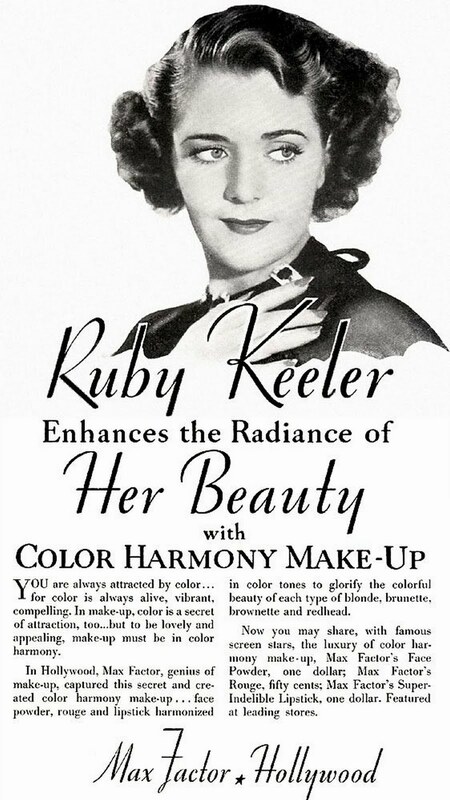 Rubinstein formed one of the world’s first cosmetic companies and is recognised chiefly for her ability in marketing ! She was especially popular in the glamorous decade of the 1950’s. 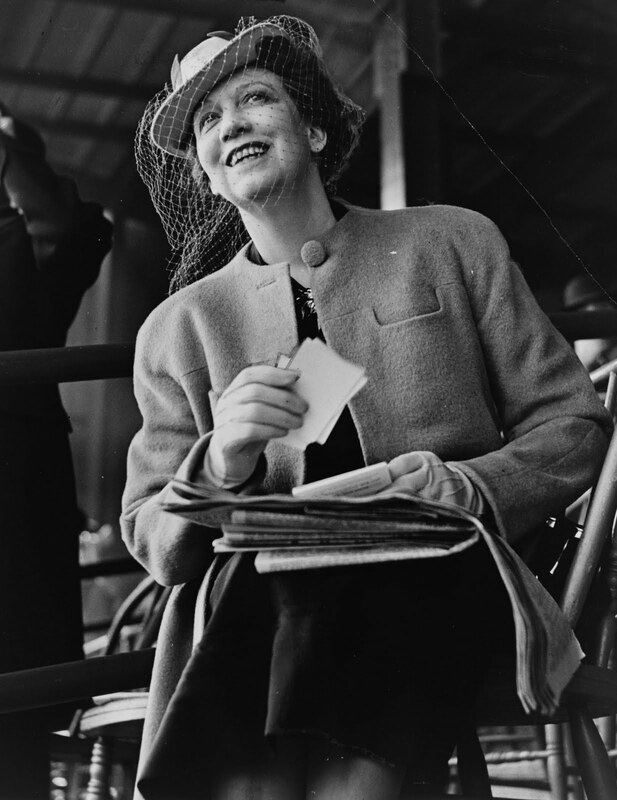 A vicious rivalry with the other great lady of the cosmetics industry Elizabeth Arden also marked her life. Both Rubinstein and Arden, who died within 18 months of each other, were social climbers. And they were both keenly aware of effective marketing and luxurious packaging, the attraction of beauticians in neat uniforms, the value of celebrity endorsements, the perceived value of overpricing and the promotion of the pseudo-science of skincare. The Powder and the Glory (2009) by Ann Carol Grossman and Arnie Reisman, details the rivalry between Rubenstein and Elizabeth Arden. So that’s the three big names in the development of makeup in the golden age of glamour. My personal belief is that Max Factor was the real genius. 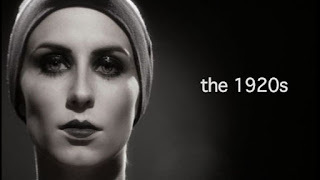 I’ll leave you with some images depicting the makeup looks of the 1920’s,1930’s,and 1940’s. Check out our other posts on other make-up eras. Download directly to your smartphone, tablet or laptop – beautifully restored vintage makeup guides. Read the definite illustrated history of makeup here on Glamourdaze. This man is an inspiration to me. When I grow up I want to be a make up artist just like hi. I really enjoyed the make up over the years. This was quite fun. Thank you for sharing. Well, it sure is a great thing to learn putting makeup the professional way. As of now, the only thing I've learned is to use a brand that you can trust to avoid skin problems and complications. I'm glad that my trusted brand is just a click away whenever I want to make an online purchase. This is a wonderful history! Thanks for compiling it for us. Truly appreciated! THIS IS GREAT INFORMATION! I AM A COSMO. TEACHER DOING THE HISTOORY OF MAKE-UP. It just keeps getting better and better on this site! 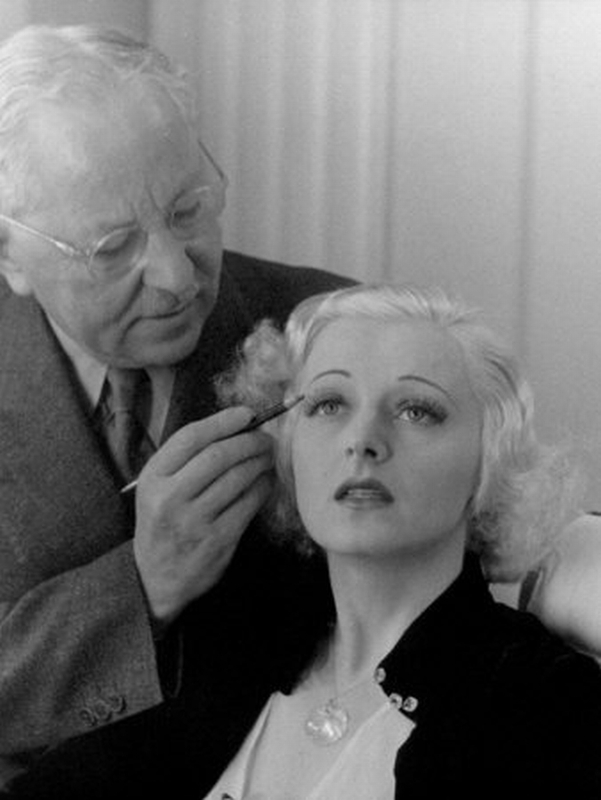 I used to live in Hollywood and when the Max Factor Museum was still it's original self – it was sheer heaven. 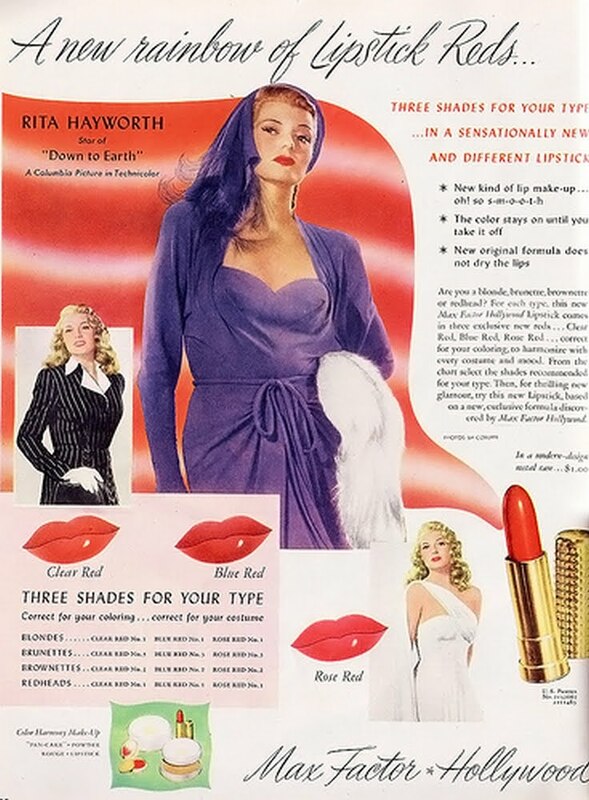 There was an area devoted to Rita Hayworth and how she was tranformed into her glamour self. I also worked for the '30's actress Binnie Barnes and there is a scroll that was signed when the museum opened and her signature is there in the middle, large as life. Oh, the things they had in there! Bring Max Factor back. It's such a shame that Max Factor is going out of business given its fascinating history. fascinating post! PS: I have a question about permission to use one or two images from your post on 1930s shoes. Could I include the pics of Greta Garbo's shoes (maybe also Carole Lombard's) in a listing for a pair of shoes in my Etsy shop? The shoes I'm listing appear to be identical to Garbo's and I wanted potential buyers to see this! If you could let me know whether or not you grant permission to do this on my blog or via a convo through my shop if you are an Etsy user, that would be GREAT! What an incredible post, honey. I learned a lot (who knew lip gloss had been around since the 1930s?) and greatly appreciate all work you put into this fantastic blog entry. Wishing you an serene & blissful month of December! Great post! I love the ice face pack HA HA! You know it's a shame that Max Factor has been eclipsed by so many other brands. He really was the father inventor of fantastic products. I believe there is a Helena Rubenstein store in NYC. Arden is still around of course. But to see Estee Lauder get so global~ the business trajectory of these old school brands is fascinating. Fab post! Love it, love it! Sadly Mr. Factor's products will no longer be sold in the USA starting in Jan. 2010. Can you believe that? Fantastic post! Max Factor was a god! Where can I get one of those ice pack masks? :) And Arden and Rubinstein were integral, too. The documentary about them is fabulous by the way. Lovely post! So interesting! I actually could have used that hangover mask recently… ingenious. 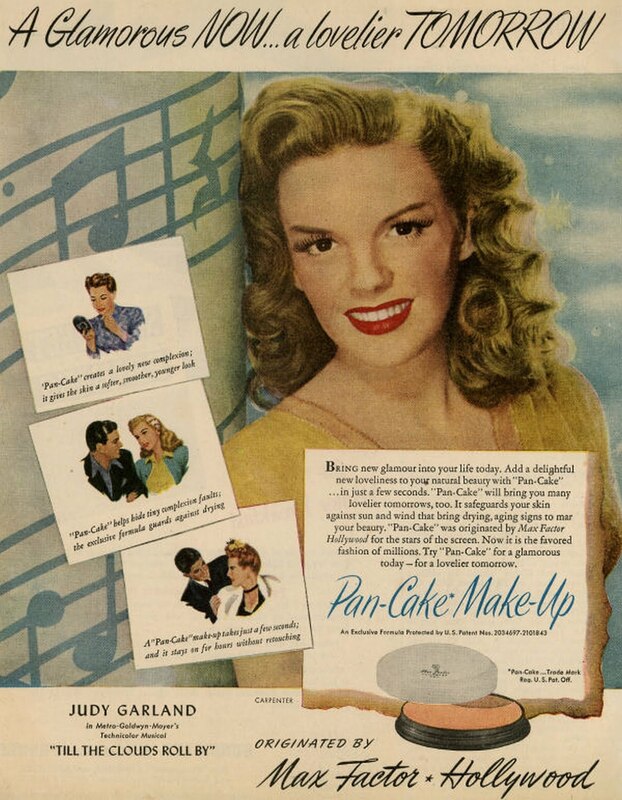 What a pretty Judy Garland ad too! 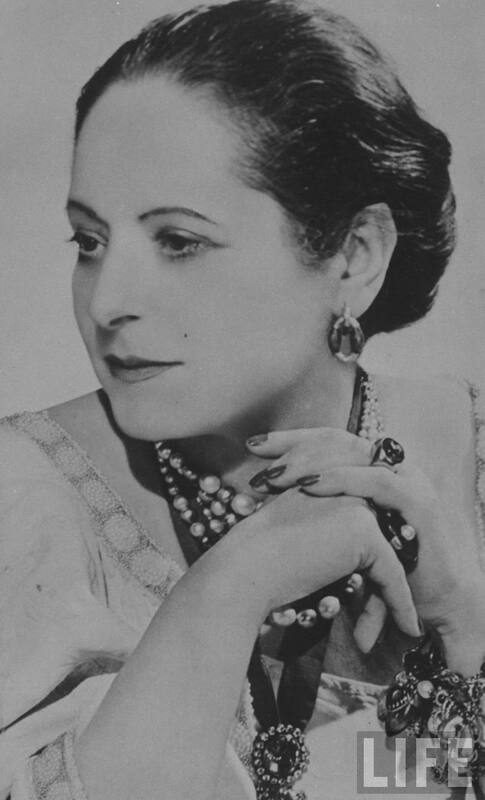 I'd never heard of Helena Rubinstein before. But definitely, Max Factor was the king of modern makeup. I find it sad that other brands are more popular now and I'm seeing Max Factor products on the shelves less and less (at least where I live; no idea how it is in bigger cities). Red lipstick is the best invention ever! Instant glamour, especially combined with black mascara and eyeliner.